The results of the Spanish general election on 26 June betrayed the expectations of many on the left. Pre-election polls predicted that Unidos Podemos (United We Can) - the electoral alliance between the new left party Podemos and the radical left coalition Izquierda Unida (United Left) - would outperform the centre-left Partido Socialista Obrero Español (PSOE, Spanish Socialist Workers’ Party), and become the main opposition to the conservatives of Partido Popular (PP, People’s Party). The June vote followed the inconclusive outcome of a previous round in December last year, after which no coalition was formed to support a new government. Much to the surprise of analysts, PP gained 4 points since December, ending first with 33% of the votes. While PP improved its position, it did not achieve an outright majority to form a government. Unidos Podemos was down 3 points, losing over a million votes in just a few months. They ended up third (21.1%) behind PSOE (22.7%). How did this happen? 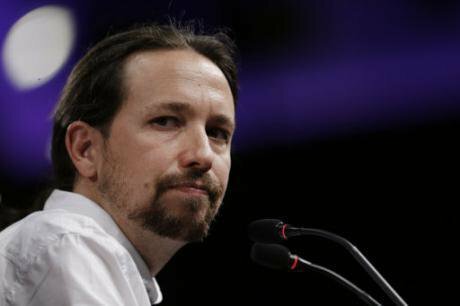 Podemos has emerged as a progressive variant of a broader European wave of populist parties against technocracy and austerity. Surely they should have benefited from the increasing instability of the Spanish system, and the crisis of legitimacy of the mainstream parties? Podemos was formed in 2014 as a political channel for the spontaneous anti-austerity mass movement of Los indignados (“the outraged”), that captured Spanish streets and popular politics since 2011. People expressed their outrage at spending cuts, the rise of university fees, the privatisation of education and health, increasing concentration of power in the hands of a few, the impoverishment of the working classes, and the 2012 labour reforms that made work more precarious - all issues caused by prolonged neoliberal rule. Podemos took up these demands, and went further. They defended Catalans' right to hold an independence referendum. They wanted to be more than a political party. They wanted a revolution. But they underestimated the politics of fear in a country where ideological battles between right and left were tinted in blood until not so long ago, and a lethargic democracy emerged to bring about social peace and economic development. PP and PSOE represented stability in a moment marred by the uncertainties of Brexit, the Scottish independence question and Catalonia’s separatism. Podemos tried to brand themselves as social democrats. They did not convince large sectors of the population who perceived them as “revolutionary communists”, and upset many of their own followers, who saw this diluted stance as a betrayal of the original mandate. There is also a sense that workers were not particularly interested in elaborate discussions about the distinctions between social democracy, Marxism and communism, and were more concerned about practical solutions to the negative effects of neoliberal policies. The party has enjoyed wide support from the professional, well educated, middle classes, but lost many workers along the way. They adopted a working class discourse, without the support of the working classes. The fight between change and conservation is a major dividing line across Europe. In UK, the Brexit vote saw a rift between young people overwhelmingly voting to remain, and the older generations opting to leave. Ageing societies in Europe are having to face intergenerational struggles over values and material interests at different speeds. This is true in Spain too, where the death rate has recently surpassed the birth rate for the first time. Surely the ghosts of the civil war and Franco’s dictatorship haunt senior citizens more than the youth. There is a core of older left voters that stuck to PSOE and saw Podemos with suspicion. Their views are shaped by the stability of the post-Franco bipolar order, where PSOE represents the left and PP the right. Podemos threatens this orderly arrangement. That is not the whole story. A good number of Podemos supporters did not turn up to vote in June. Various reasons have been offered by analysts, including the negative impact of the merger between the two formations. Drawing from my own research on economic crisis and precarity in Spain, I suggest that growing disillusionment among early supporters was an important factor. There was a point in the build-up to the December election last year when the party decided that bidding for government was a priority to bring about the desired change. Mobilising large numbers of people was not enough, there was a need to build a robust leadership. This reasoning led to a substantial concentration of power in the hands of the party leader, Pablo Iglesias. But it came at the expense of the original strong links with social movements and popular protest. The leadership was too quick to build a top-down structure, and betrayed the initial commitment to inclusiveness and horizontal decision-making. General mistrust grew among the rank and file, further exacerbated by ideological ambiguities. Why did leaders unconditionally support Tsipras after the Greek referendum fiasco? Why was the anti-austerity and anti-establishment agenda dropped so suddenly? If the idea was, in fact, to soften up their image to gain more votes, what hope was there for real change? Another dimension has received less attention. With trade unions in crisis, the erosion of workers’ rights, widespread cuts, and high unemployment, a growing number of people feel left behind. It is not just about the economic hardship and material insecurity. Community bonds and associational life have been weakened by the same trends. Podemos campaign hoped to mobilise popular support through a politics of emotions. The motto on the main logo, La sonrisa de un país (“the smile of a country”), accompanied by a heart, spoke about love and hope, perhaps a naive approach that did not work well with those who are suffering the most. Their strong social media presence was coupled with more visibility in American-style political debates and TV shows. The campaign videos were carefully prepared and charged with an emotional vibe that did not leave the viewer indifferent. The energy was there. But where exactly? As Podemos media machine rapidly grew, the links with the alienated working classes hit by the crisis diminished with equal speed. The assemblies and face-to-face discussions behind Los indignados movement were the catalyst of Podemos initial support. Yet, they had now been neglected in favour of social media and smart branding. PP and PSOE have an advantage. They are tied to the history of the country, and there is a popular imagination behind them. Podemos, on the other hand, is trying to create something new. There is something important they refuse to acknowledge: neoliberalism has atomised and alienated us. We need concrete forms of mutuality and belonging, more than short-lived social media messages about love and hope. The new society people have been dreaming of needs to be conceived, debated and built in real life. I have one suggestion for Podemos: go back to basics. This article was originally published on The Human Economy Blog.